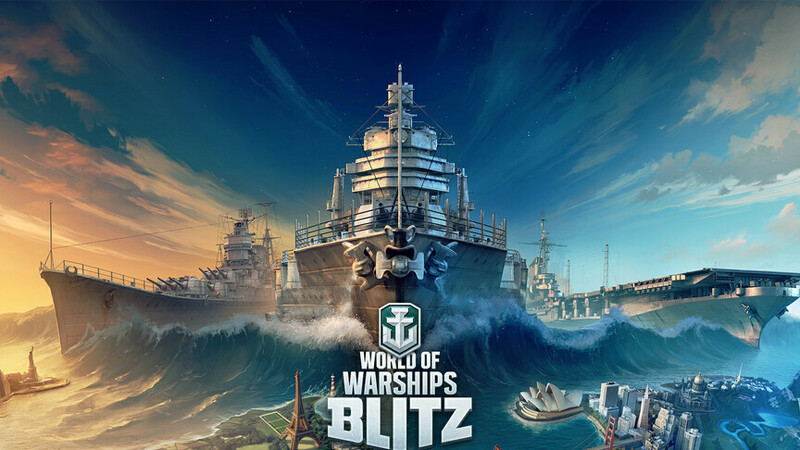 Developer Wargaming has finally made the mobile version of its newest MMO official worldwide: World of Warships Blitz is now sailing slow and steady on the Google Play Store, allowing you to take part in heated 7v7 multiplayer arcade matches. The game supports the single most-important MMO feature for mobile devices, cross-platform play, meaning that iOS and Android gamers can play against one another in real-time. World of Warships Blitz, as you can probably imply, will let you partake in naval battles with tons of real warships that were sailing the open seas in the interwar period and during World War II, including the best the USA, Japan, Germany, and the USSR had in this historic time period. Just like the full-fledged PC version of the MMO, players will be able to adapt their gameplay relative to what vessel type they opt for: playing a battleship is pretty different from sailing with an aircraft carrier, just like getting a destroyer is unlike playing with a cruiser. As far as game controls are considered, the game is pretty similar to Wargaming's older World of Tanks Blitz and makes use of touchscreen controls rather good. The majority of gameplay mechanics from the flagship version of the MMO have been transfered to the lighter-weight Blitz version rather nicely, including the ship repair mechanics and the gunplay. Downloaded yesterday but haven't got the chance to play it yet. Been playing World of Tank Blitz for a year and can't seem to find anything else that will be replacing it. I kind of got the same vibes from this one though it definitely feels a bit faster-paced.